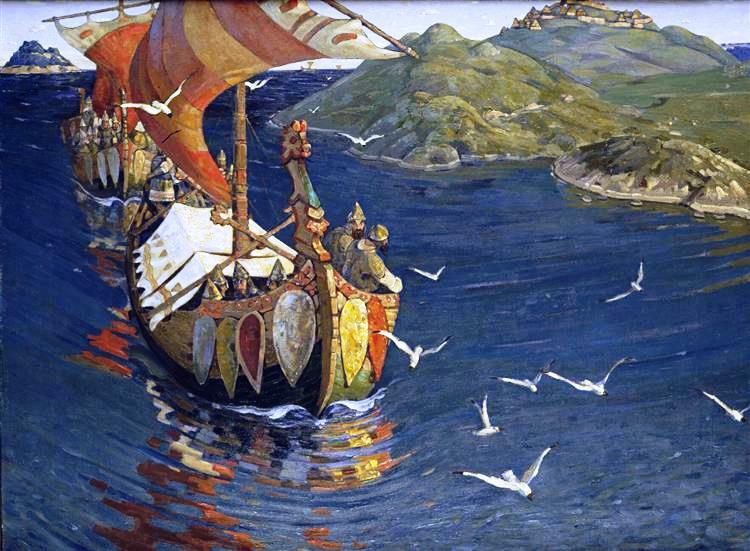 “Visitors from over the Sea,” Nicholas Roerich, 1901, WikiArt. 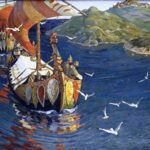 They sailed, by faith, Brædyn was alive. What magic spells was Brædyn death-released? What dark specters howled in longboat rigging? Strand, they searched for young Brædyn. Amongst hunters of migrating caribou herds. Her chewed food, kept warming fires burning. 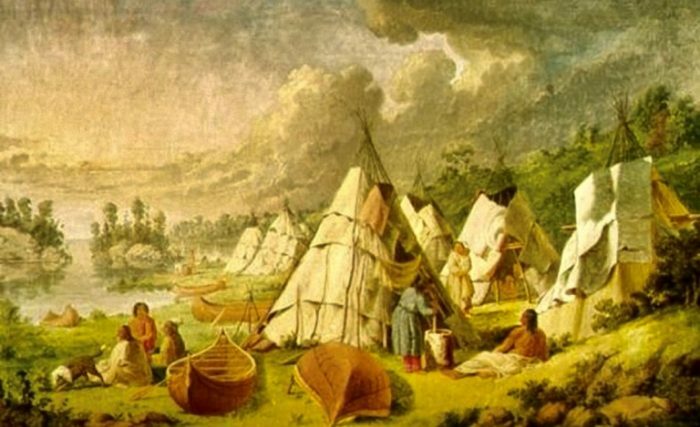 “Indian Encampment on Lake Huron,” Paul Kane, 1850, WikiArt. I see,” Mother explained, sight time-darkened.